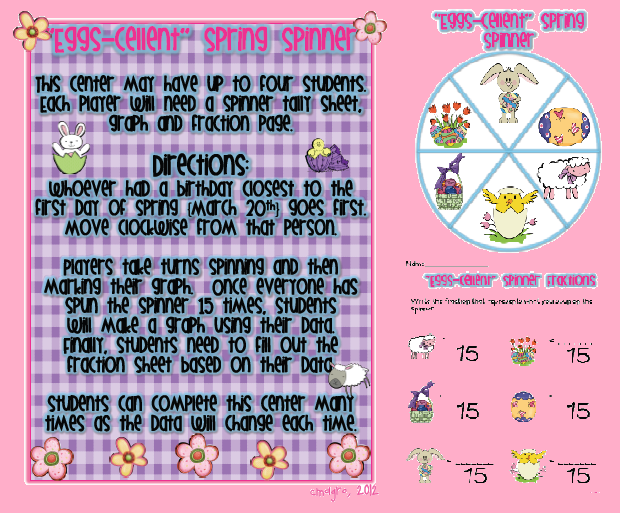 New Math Unit Perfect for Spring and GIVEAWAY! Whew! I finished my new math unit and, boy, and I excited! It is just GORGEOUS, if I must say so myself. 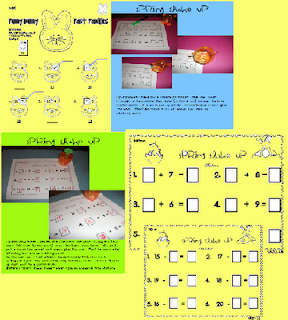 I made this unit for my firsties who really need a lot of practice with math, developing number sense, data collection and analysis, What's My Rule? in Everyday Math, and story problems. 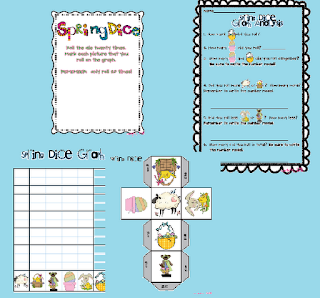 This unit is perfect for first graders in the spring. 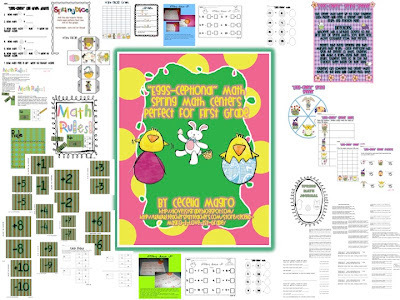 The 56 pages are jam-packed with engaging, yet rigorous activities that meet Common Core standards. 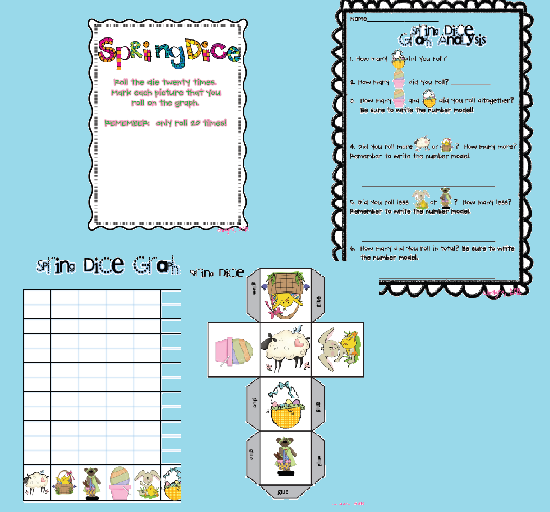 *Spring Dice Center - this data center involves rolling an originally made die (included) and graphing and analyzing the data. 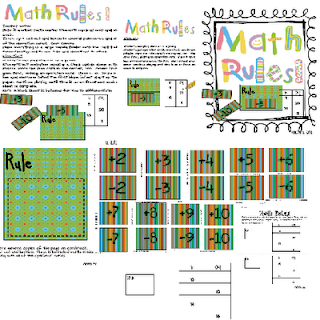 * Math Rules Center-colorful center that allows children to practice "What's My Rule?" and in and out boxes. 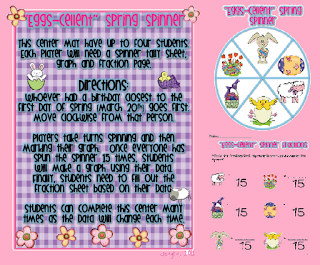 There is a tally page and graph that goes with this center. This center was a huge hit last year. Here is the math journal and some of the prompts. Another wildly popular center last year. What's my rule/In and out boxes-we need lots of practice with these. I think this product will surely meet all of your student's diverse needs. Get it here for $6.50 -OR-follow this blog, my TPT store and my Facebook page and leave a comment. The first three people to do this will get the unit FREE!! I did all three. I followed your TPT store and can't wait to peruse it! I liked you on Facebook. I already was a blog follower. I follow and like!! I love the die in your unit... looks great! I already follow your blog and TPT store and now I like you on FB! Darn, almost made it! I am never good at this type of giveaway! LOL Your unit looks great though! This is very cute!! Packaging boxes are also made by taking the perfect dimensions man. Ha ha, i love to read these type of creative & puzzled posts. Thanks for sharing Cecelia.